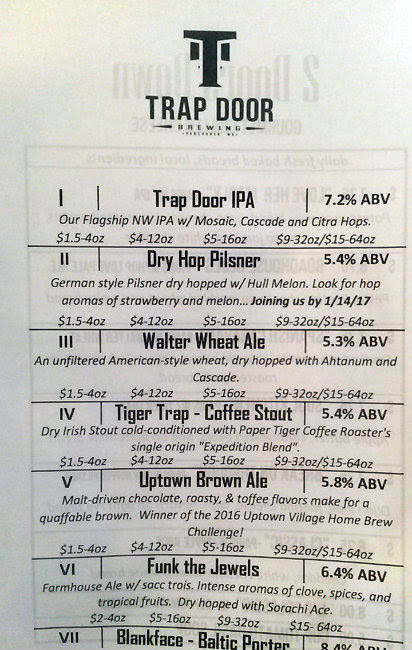 Trap Door Brewing is located on Main Street in Vancouver, Washington. A couple weeks ago, the Portland and Vancouver area saw its most snow in at least 20 years. It all but forced me to stay in Vancouver, as Portland was still an icy mess. 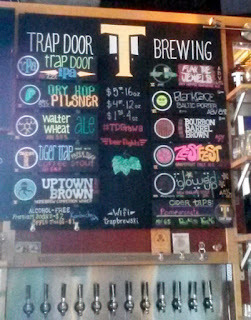 Trap Door Brewing is one of several breweries in Clark County, and a few can be found right in downtown Vancouver. With a few food carts parked right outside, it's OK to order food and bring it into the bar; the cart owners may even bring your order in for you. There are ten taps at Trap Door for all their beers. A few are year-round, while others will seasonally rotate. I tried a few different ones here. 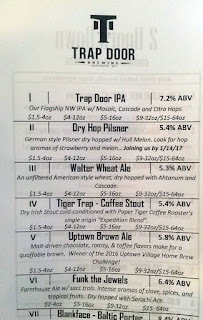 You have the option of 4 oz tasters, 12 oz tulip, 16 oz pint, 32 oz glass jug crowlers, or 64 oz glass jug growlers. 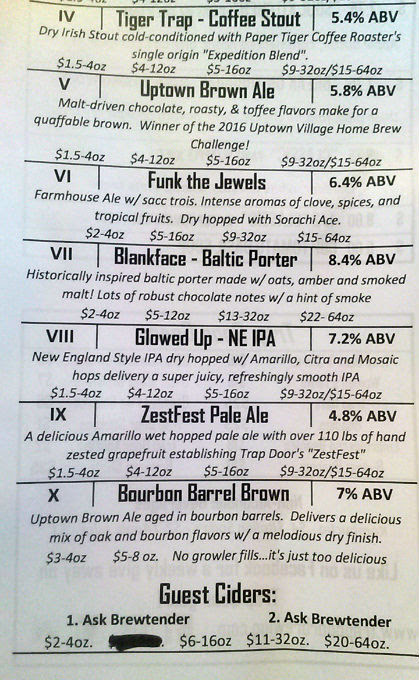 All the beer prices are very reasonable. If you want a flight of four, it'll likely run you around $6, give or take a buck. 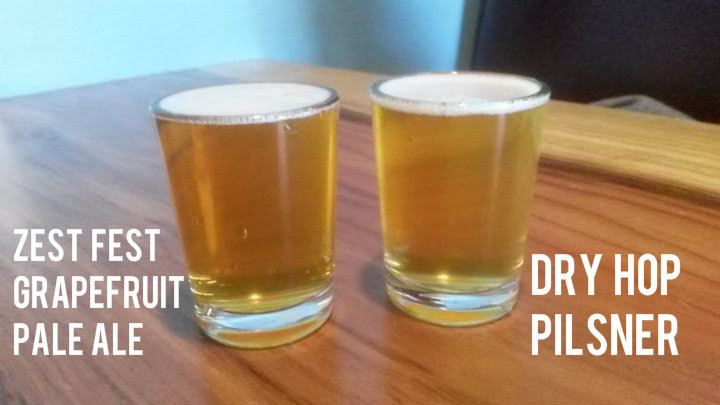 You'll get a slight discount if you get seven or more 4 oz tasters. 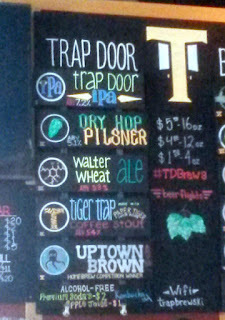 TRAP DOOR IPA: Their flagship IPA at 7.2% ABV. 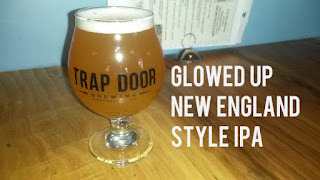 It has Mosaic, Cascade, and Citra hops. Fits the bill of a nice West Coast IPA, hop-bitter with some floral and grapefruit notes. 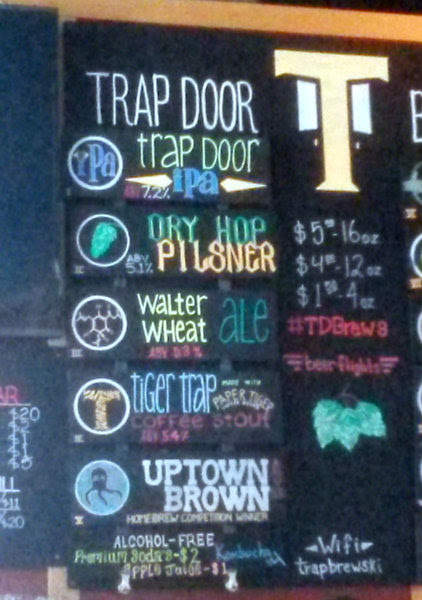 Dry on the tongue like most IPAs. DRY HOP PILSNER: 5.4% ABV. I'm generally not a Pilsner guy but had a sample anyway. I did pick up some melon notes. Straightforward and light. 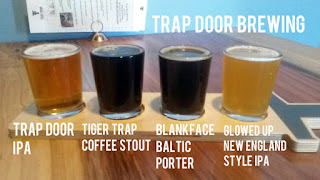 TIGER TRAP COFFEE STOUT: A pretty nice stout, very drinkable at 5.4% ABV, good coffee flavors and aroma. BLANKFACE BALTIC PORTER: 8.4% ABV, smoky and chocolaty. Quite assertive. 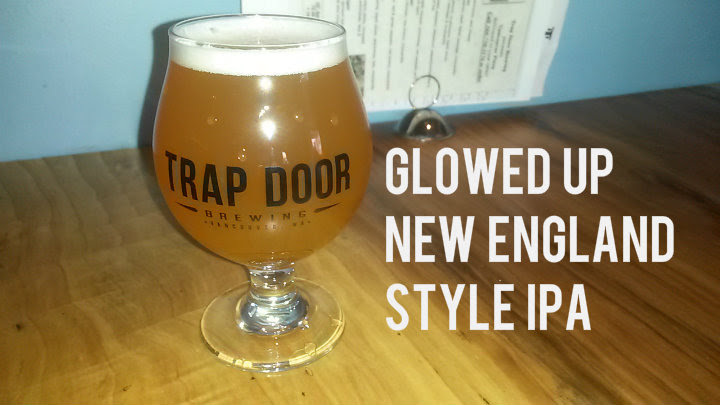 GLOWED UP IPA: A New England style IPA clocking in at 7.2% ABV. Amarillo, Citra, and Mosaic hops. 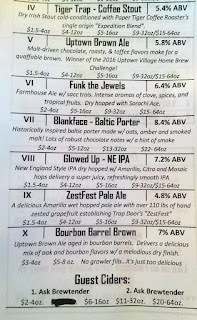 I do have an IPA bias, but this was my favorite of all the beers I tried. Juicy on the tongue, very tropical and fruity. Full of flavor. 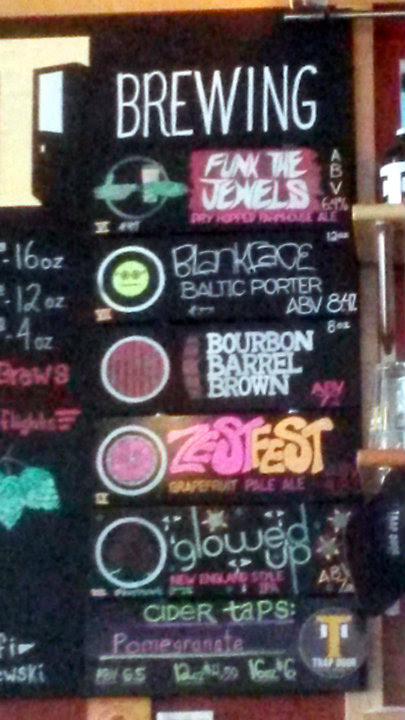 ZESTFEST PALE ALE: 4.8% ABV, Amarillo hops and a lot of grapefruit zest. Wonderful grapefruit aroma and light, clean flavors. Would be an outstanding summer beer. Overall, I enjoyed the atmosphere. There are a couple of TVs to watch the game, and the tasty food options from outside make the experience even better.